Just in time for Halloween comes a gripping, violent tale of a mad man on the path to wellness, but is that even possible? From the team of Nick Spencer (Morning Glories) and Riley Rossmo (Green Wake) comes Bedlam, a blood soaked introduction to a dark and violent world. 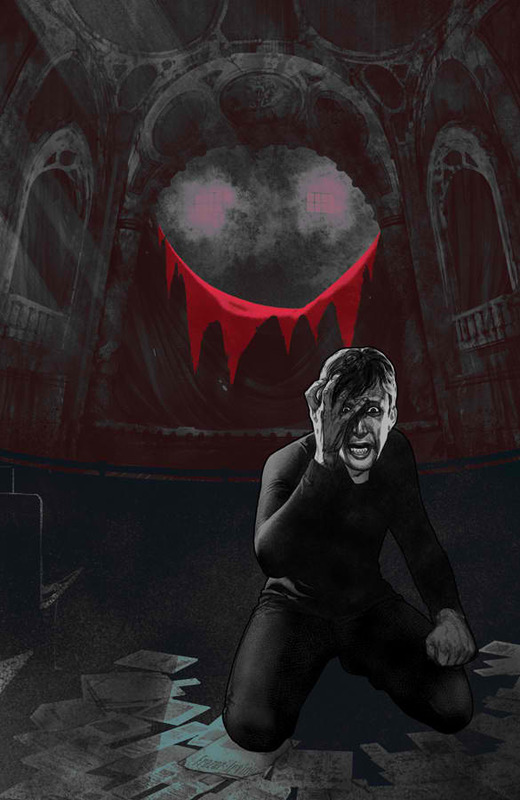 Image Comics is known for their breathtaking books, so does Bedlam fall into the category of excellence? Or is just another gore fest on the shelves? Bedlam kicks off with a bang right from the start, as we see the mad man Madder Red doing what he does best: create bloody chaos. Madder walks the line of insanity much like The Joker and Deadpool, yet has a distinct flare all his own. This first issue shows the kind of unspeakable acts Madder Red has done in the past, and then fast forwards to where he is now. The world is still very much affected and influenced by his actions, but he’s not the same man anymore, and therein is the story. Spencer crafts a terrifying new character here with the iconic Madder Red. With part crazy man, part mastermind, this is a character than can go far in the world of pop culture greatness. This debut issue is a double sized monster, and with the exception of some very wordy pages, it makes great use of the massive page count. Rossmo provides the visuals, creating this menacing world and the people that live in it. Rossmo has really impressed me with his work on Green Wake and Rebel Blood, and his style really fits the look and feel of Bedlam to a T.
Like I said, there were a few hiccups here and there, with a very wordy and long speech near the end of the book. Other than that, this book hits all the high marks, and sets up what is sure to be another Image Comics classic. Issue #1 has already went into a second printing, and it was just released today, so that shows you how good this book really is. Bloody, poignant and memorable, I can’t wait to visit the world of Bedlam again. Highly recommended, I give Bedlam #1 a @@@@ out of FIVE. Previous Disney to Purchase Lucasfilm for $4.05 Billion + Episode 7 in 2015!! !